Should disaster strike Palm Springs/Palm Desert, CA, Daniels DKI will provide high-quality, full-service emergency response and restoration services. 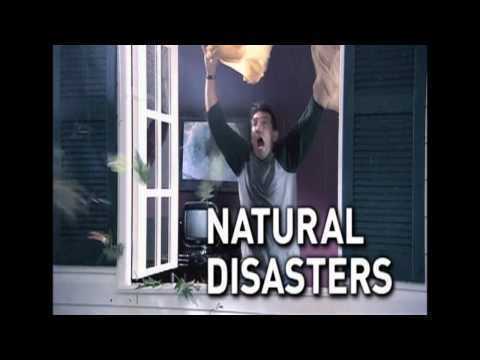 We understand the devastating effects floods, fires, and other natural disasters can have on your home or business. That is why we are available to assist you 24 hours a day, 365 days a year. Our Coachella Valley disaster restoration services include: fire, smoke & water damage restoration, mold inspection, mold removal, storm damage repair, flooded basement cleanup, contents restoration, carpet and upholstery cleaning, construction and remodel services. 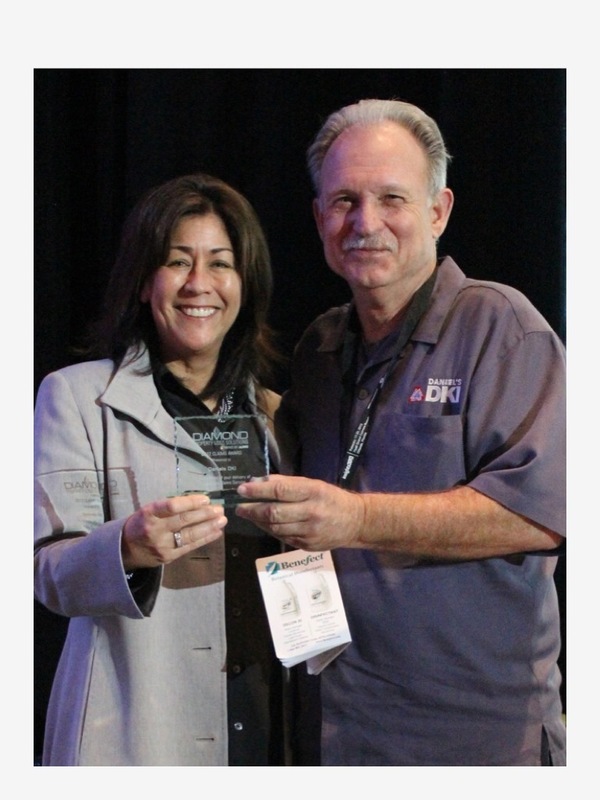 Every year at the Insights trade convention in Orlando, awards for restoration excellence are given to the top performing disaster cleanup companies in the nation. The awards, which are selected by leading industry experts, are given for the accuracy and efficiency of restoration services as well as the professionalism of the restoration crew. 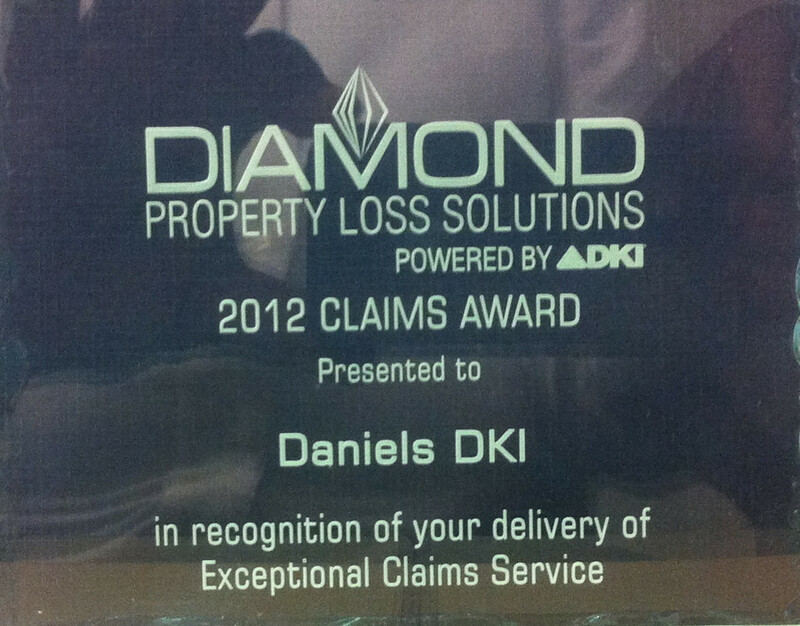 This year, Daniel's DKI was selected amongst the top ten performing restoration companies and recognized for excellence within the DKI claims network. Dan Eads, the president of Daniel’s DKI, was present at this year’s convention to receive the award. At Daniel’s DKI, we have always prided ourselves on the consistency of our services and on the thoroughness of our employee training programs. We always strive to go above and beyond in all our services, and we are proud to have received this award from a jury of our peers. From February 17-20, 2013, Disaster Kleenup International—the largest disaster restoration contracting organization in America—held its annual Insights Conference and Trade Show in Orlando, Florida. The purpose of the convention is to provide opportunities for networking, exchange ideas, provide educational forums, promote new technologies, and acknowledge excellence in the industry. This year, more than 600 individuals and 70+ exhibitors attended the event, making it one of the most successful Insights conventions ever. The convention is an educational experience for all who attend, and it provides us with a chance to learn about some of the latest advancements in property restoration technologies and techniques. Though we’ve been recognized for the high quality of our services, we will never stop improving. We are committed to being industry leaders, and we are constantly refining our techniques and process so that each customer receives the best property restoration services possible. At Daniel’s DKI, we understand the importance of community. That’s why we always make a special effort to participate in community events and to give back to the community through volunteering. As a part of our efforts to promote and support our community, we participate in the Palm Springs and Palm Desert Chambers of Commerce as members and Ambassadors. The Chambers fills a vital role by promoting local businesses, and thus helping to keep our communities thriving. Beyond our membership in the Chambers, we also like to take part in a number of events and activities that benefit the community. As a part of this goal, this February our team volunteered for a unique event: the Modern Pentathlon World Cup. Every year, the Olympic sport of Modern Pentathlon hosts a series of “World Cup” events throughout the world. The first World Cup event is held in Palm Springs, California—just a few miles from the Daniel’s DKI headquarters. The Pentathlon is broadcast in real time throughout Europe, and it is considered a major event by many sports aficionados. Beyond its importance in the athletic world and the opportunities it presents for many young potential future Olympians, the Modern Pentathlon World Cup also helps promote our communities by bringing important tourism revenue to local businesses. That’s why our Business Development Manager, Bill Palmer, was proud to accept when he was asked to be a part of the 2013 Pentathlon by being a Gate Keeper at the event. His role as a Gate Keeper helped ensure that the event went smoothly and without any major complications. Beyond the role as Gate Keeper, we were also selected to be one of 36 judges at the event. We were proud to be part of the prestigious international event that brings so much to our community. Whether it means helping out at a major world event like the World Cup Pentathlon or simply participating in our local Chambers of Commerce, at Daniel’s DKI we know how important it is to support the communities in which we live and work. By supporting events and businesses in the community, community bonds are strengthened, revenues increase, and we help ensure that our cities and towns continue to thrive. In other words, when we help each other, everybody wins. Daniel’s DKI has been helping the community by providing lightning-fast professional disaster recovery services in the Palm Springs area for nearly 40 years. "I have been using Daniel's for disaster restoration and emergency services on properties I have managed over the last 20 years and have never been disappointed. Their quick response time and level of professionalism is hard to find here in the Coachella Valley. I value our longstanding business relationship and I can recommend their services without hesitation, which I do whenever I have the opportunity!" Over the past year I have had the opportunity to work with Daniel's DKI on two occasions for remodeling my home In Morningside. I have found Dan and his staff to be responsive, thorough and fair. The workers left my home orderly and clean. "We would like to thank you for the tremendous job your company did for us beginning at the end of January this year. The Phillips family enjoyed a very gratifying, pleasant and successful Work experience with DKI Construction Company. All of our appointments were (surprisingly) kept on time, everyone involved was very professional, courteous and made a point of not only pride in their work, but cleaning up thoroughly when finished. "Daniel, I want to thank you for all that your company did, a great group of people, the gentleman that did our floors and carpet, outstanding job and Will who patched an painted did such a wonderful job you would NEVER know anything ever happened here. Of course I won't forget the cleanup crew, awesome. Thank you so very much. We appreciate all your folks and you for all the work that was done. Please know they were all professional too. Just so pleased with everything." 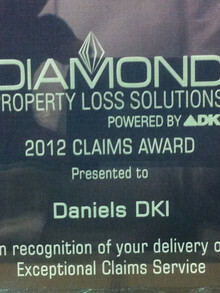 - John & Kathy G.
"We highly recommend the services of Daniel's DKI. They are an outstanding restoration company. their services are complete. they do a terrific and complete job rebuilding homes damaged by flooding.Their employees and workers are friendly, intelligent and honest in all their work, which is completed in a timely manner." "...I have to say that not only did they do the assessment of the damage promptly, but they individually wrapped everything, made sure that all the furniture that was salvageable was dusted and clean before wrapping them including all the TV's, and marked all the boxes correctly so that if you needed to find something you could...I cannot say enough about what a wonderful company they are and how pleased and happy we were. We never had a bad moment with them and they always responded to my phone calls. I highly recommend them and no company could have done a better job. They are the best! Thank you DKI!"